Starring: Melissa Leo, Keith Leonard, Victoria Charkut. There is great comfort in cats. Francine, played by a remarkable Melissa Leo, loves her feline friends. She’s a crazy cat lady of sorts, a Nell-ish ex-convict who struggles with society but finds solace in furry critters. A quiet, episodic character study, Francine proves a difficult film experience that might work quickly through all nine lives of some viewers, but those who stay with it will enjoys its rewards long after. The film begins with Francine making the transition from one life to another. 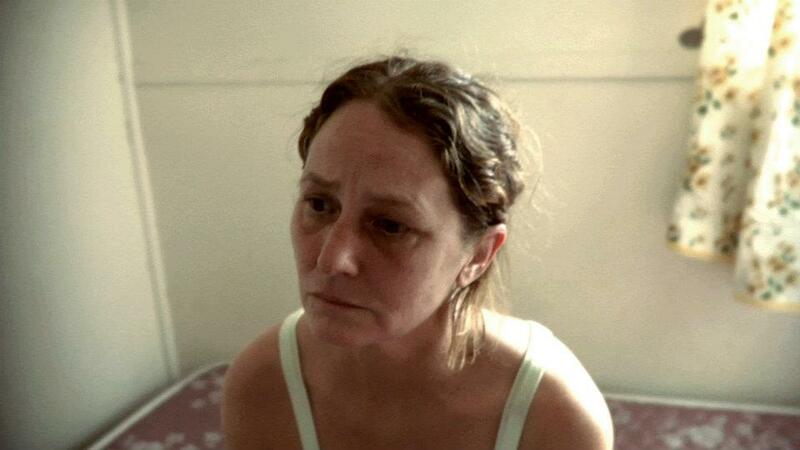 As she prepares to leave prison, the camera locks on her blank, sullen face as the warden describes to her that the transition to a normal life will be difficult. Francine says little as she leaves, and she keeps mute as she moves into the outside world. Francine doesn’t adjust to life too easily. She gets a job at a pet shop, which seems like a good fit for her since the only hint at joy she comes across after leaving the slammer is a stray cat she finds at the lake. Francine takes the lakeside feline and embraces it with kisses. She rubs the kitty all over her face and signals a trope that will echo alongside the crickets on the film’s soundtrack. In spite of Francine’s affection for animals, she struggles to fit in at the pet shop. She walks with the animals/talks with the animals with skill, but she seems incompetent at connecting with customers and co-workers. Likewise, Francine is socially inept outside the workplace: her years of living within the small quarters of her cell left her as helpless and directionless as a mouse that has escaped its cage. Francine slides into trailer-trash odyssey of anti-social behaviour. Francine, a feral child of sorts, spends much of the film exploring her habitat with little sense of purpose. She joins a rave, dabbles in religion, and does it doggy-style with random men. None of these actions sates her creature comforts, though, so Francine mostly retreats into her squalid little house. Francine’s home is filthy ramshackle sty full of animals. The number of cats and dogs in Francine’s house multiplies at random: whether she steals them from the shop or brings them in off the street, Francine adds to her litter ad nauseam. The cats and dogs give Francine some stability (or instability, depending on how one looks at the situation). Enjoying the sensual pleasure of the kitties’ fur, Francine finds a placebo to human connection with her pets. Her love for the pets goes to the point of putting their paws in her mouth, which is gross, but makes one wonder what kind of help Francine needs to adjust to life outside of prison. She makes some baby steps by getting a new job as a veterinarian’s assistant, but this transition moves Francine into its most emotionally charged segment because Francine becomes far too attached to the sick little animals to which she gives care. Francine takes a notable turn with an ambiguous long take that observes Francine’s point-of-view as watches the vet tranquilize a small cat and prepare it for surgery. 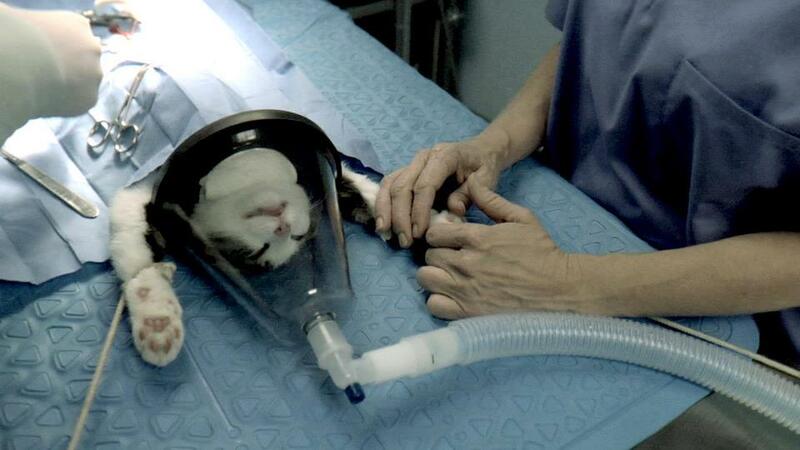 As Francine holds the cat’s little paw and watches it go under the knife, she makes a sharp turn into a strange emotional attachment that escalates until it erupts. Told in a strange, observational style by writers/directors Brian M. Cassidy and Melanie Shatzky, Francine might be too detached for its own good. The bare bones/cinema verité aesthetic lets the filmmakers make a semi-comfortable transition from documentary to narrative feature, but it puts Francine in an awkward position. Like a dog on a choke chain, Francine rarely travels outside of medium shot—the camera is trained on her face much of the time; moreover, with scant dialogue and an elliptical, episodic structure, Francine always keeps the viewer at a distance. We never learn why Francine went to prison—perhaps it doesn’t matter—but more than a backstory feels absent. Francine therefore scraps to move beyond a mere character study, and it mostly stays as an intriguing, if mildly effective character study. On the other hand, one hardly needs the film to offer much else when the focus of the handheld camera is trained on a strong actress like Melissa Leo. If anything, Francine shows that Leo can carry a feature length film with the silent expressions of her face. She needs nary a word to create a character, let alone one who is so tangibly downtrodden and destitute. Leo gives a brave performance in Francine: thanks to her, this tale of a crazy cat lady is quietly compelling. Francine is now available on iTunes.